At Hawaii’s Snapdragon Summit, Qualcomm announced – Snapdragon 8cx PC platform for Windows 10 systems in Qualcomm’s history, enough to make Intel and AMD tremble. The Snapdragon 8cx can be considered as the super-enhanced version of the Snapdragon 855. 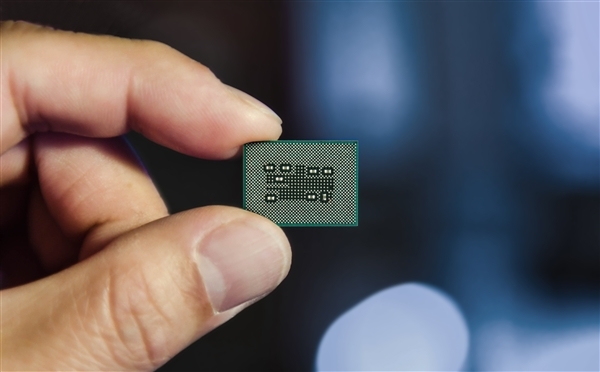 It is the world’s first 7nm PC processor. The thermal design power consumption is only 7W, but it has PC-level performance and functions and supports 4G always online and always connected. 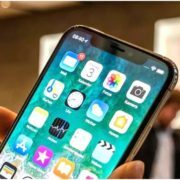 It can provide up to several days of battery life. 8cx naming, 8 for the high-end product line, C for Computing, x in the model represents eXtreme (extreme), including extreme performance, extreme endurance, and extreme connection. 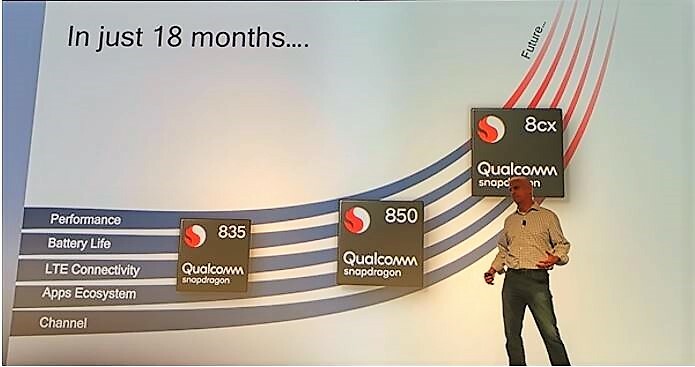 From Snapdragon 835 to Snapdragon 8cx, Qualcomm took 18 months. 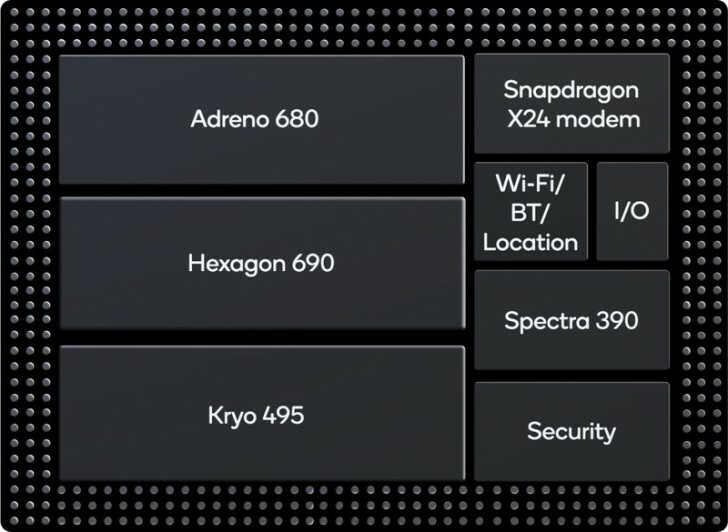 The Snapdragon 8cx integrates the Adreno 680 GPU, which is twice as fast as the previous Snapdragon 850, 3.5 times faster than the previous Snapdragon 835, and the energy efficiency is 60% higher than the Snapdragon 850. 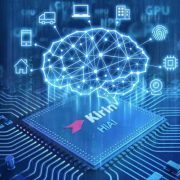 Technical features support the latest DX12 API, integrated high-efficiency video encoder, H.265/VP9 decoder, support for second-generation HDR video playback, can output dual 4K, that is, can connect two 4K displays. The CPU core architecture is Kryo 495, which consists of four large cores and four small cores. Each core has its own L2 cache. All cores share L3 cache and system cache, totalling 10MB. In terms of performance, Qualcomm claims that the Snapdragon 8cx has 7W thermal design power consumption can match the AMD/Intel 15W ultra-low power processor. Like the Snapdragon 855, it also integrates the Snapdragon X24 4G baseband with a maximum download speed of 2 Gbps, supporting seven-carrier aggregation, 4×4 MIMO, and LAA authorized access. Technical features are as rich as PC processors and even more, support QC4.0+ fast charging, Aqstic/AptixHD audio, Amazon Alexa/Microsoft Cortana voice assistant, USB Type-C interface, eight-channel LPDDR4X memory, NVMe SSD solid state drive, UFS 3.0 flash memory, PCI-E 3.0 system bus, dual 4K output. The Snapdragon 8cx CPU is divided into four super cores (Prime Core) and four energy-efficient cores. The former is Kryo 495. 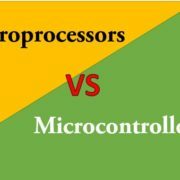 The architecture is based on ARM A76, but the frequency has not announced, however, it might be lower than the Snapdragon 855 2.84GHz. 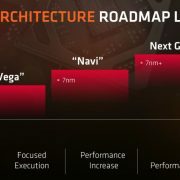 According to the Reddit parlance, the SD850 can beat a Core i5-6300U in multi-core benchmark scores but in single core, its performance slightly lags behind. For the first time in history, the Snapdragon 8cx platform supports Windows 10 Enterprise Edition, opening the door for entering the business field. Microsoft Office 365 and various enterprise software such as Symantec, Cisco, VMware, and McAfee are also optimized to support Snapdragon 8cx. The Snapdragon 8cx PC will be available next year, depending on the OEM. However, Lenovo is the only hardware partner to present the presentation today, and it is sure to get the starter. Snapdragon 8cx notebook will be displayed on CES 2019, is expected to ship in the third quarter of next year, because the PC has a fixed consumption cycle.